Make Sure Ministries » Todd – from the “prison yard” to freedom in Christ! Todd–from the “Prison Yard” to Freedom in Christ! …I can remember attending a little Methodist Church in Pottstown Landing, Pennsylvania. 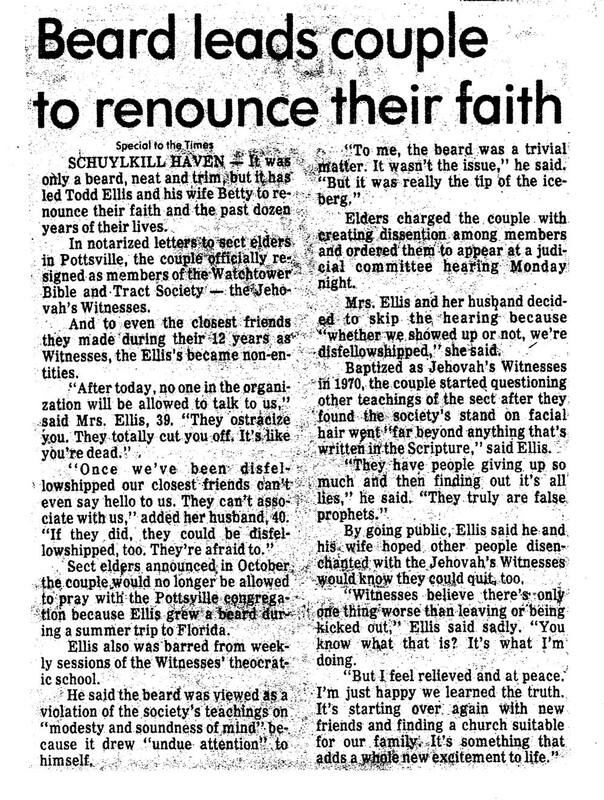 Later we moved a short distance away to South Pottstown where my parents helped in supporting and building a new but small Evangelical Lutheran Church. My father was the church treasurer and my mother was a youth Sunday school teacher and I learned all about Jesus. As a teenager I was “confirmed,” learning some more of the basic doctrines of the Christian faith. My father died when I was seven and, at nine, I entered Girard College in Philadelphia. It was a large all boys orphanage with great tradition that provided a wonderful education. In my senior year I received a vision from the Lord that I would one day serve him in a special way. I met and married Betty and we began searching for God and His Word…..
During college I met and married Betty, a very loyal, loving person who also wanted to know God. Together we began attending Christian revivals and special Bible classes. Due to living away from home at Girard for nine years, there was much Bible teaching that I had missed. We both had difficulty understanding some of the basics. So we began searching for answers to our many questions. We were not completely successful in our search, but continued to have a genuine desire to know more about God and His written word. After graduating from West Chester State College in 1963, I began teaching on the Main Line of Philadelphia at RadnorSchool District. We built a home in Audubon and were blessed with two fine boys, Timothy and Kevin. We were attending a Lutheran Church but not growing spiritually. Then, in 1969, Jehovah’s Witnesses came to our door offering free home Bible studies. They were kind, neatly dressed, and came with Bibles in hand teaching about a paradise on earth that was soon to come. They were teaching Bible chronology pointing to the year 1975 as the time of Armageddon. They taught what I would later learn as an Arian view of Jesus: He was God’s first creation rather than the Creator. They gave us an earthly hope rather than a heavenly one. They taught that if we were to die faithful before Armageddon, we would sleep in death, knowing nothing and then be raised through God’s memory during the 1000 year reign of Christ. They taught that the Watchtower Society is the only true religion on earth today. They have endless rules: forbidding blood transfusions, organ transplants, celebration of birthdays, Christmas, Thanksgiving, Easter, Mother’s Day and so many other things. Jehovah Witness school children could not associate with other students and missed almost all special school activities, celebrations, sports, etc. In 1971, we were blessed with our third child, Tammy Beth. Our life grew more and more isolated. We spent less and less time with friends and relatives outside of “Jehovah’s Organization.” We were forbidden to enter Christian bookstores, to read any other Christian literature, or to attend Christian funeral services. Our personal freedom was rapidly diminishing, but we didn’t seem to realize it–not yet. One Christian ex-Jehovah’s Witness from Ireland put it this way: He said in testimony that when he first became a baptized Jehovah’s Witness, he was so excited and felt free–free from “Babylon the Great” (the empire of false religion)–but as the years passed, he realized he was only free inside the prison yard. Our family was busy, devoted to serving and working out our salvation for the Watchtower organization. Betty and I put in countless hours in field service going door to door and offering many free home Bible studies to non-Jehovah’s Witnesses. As the years continued, I gave up teaching school and devoted as much time as possible to the Kingdom work. I became a territory overseer, an elder and a public speaker. As Jehovah’s Witnesses, we were encouraged not to take high paying jobs with high responsibility but rather to “seek first the Kingdom,” helping as many people as possible to join the organization before Armageddon. This was because we had been taught that only Jehovah’s Witnesses were going to survive God’s final war. Well, in 1981, the Lord began sending a clarion call to Betty and me. Remember that Jesus said in John 10 that He knows His sheep and they know Him. He calls His own sheep by name and calls them out of captivity, out of the prison yard to Himself. In January 1981, my dear friend, Pete Stanson, sounded the first trumpet call. He made a trip from California to Pottstown, Pennsylvania, the place where we both had been raised. Betty and I met with him at my mother’s home where Pete and I spent several hours sharing our faiths. He was a born again believer, and elder at a small Christian Missionary Alliance Church in Santa Barbara. Little did I know that this conversation would turn out to be life changing! He gently and lovingly shared the gospel of Jesus Christ. He reminded me that although both of us were sincere, we couldn’t both be right. As our time together concluded, he asked if I would like to continue our conversation. Since I wanted my friend to know the “real truth,” I agreed. So Pete promptly sent me four tapes and a tape recorder. Listening to all the information that was on these tapes was very painful. I soon found the “my truth” was not defendable and my Jesus was not the real Jesus. I began to have more questions than answers. Like Lydia in Acts 16, my eyes were being opened because of God’s calling and by the prayers of the saints. My mother’s faithful and earnest prayers were surely being answered. Also, Pete’s church was offering weekly public prayer on our family’s behalf. During 1981, the Lord sent an army of His family to march around our “wall of Jericho”–the Watchtower wall. Mennonite men living in our community gave me a thorough witness. Other born again believers shared their testimony about Jesus. One of my Bible students, who had become a baptized Jehovah’s Witness, visited the home of a Christian family in a rural area of Pottsville. These country folks gave him a book to read entitled We Left Jehovah’s Witnesses, a Non-Prophet Organization and asked for his opinion of it. He brought the book to me so Betty and I began to slowly read it. Pete’s tapes and this book put a large dent in our Jehovah’s Witness armor. We became aware of the many false prophesies told by the Watchtower. Then one day I entered the home of Antoinette. She knew I was a Jehovah’s Witness and began to ask me some serious questions with godly kindness and genuine sincerity. Her first question was, “How did I feel about the false prophesies?” I answered honestly that I had just learned about them and was not really comfortable about them. Then she asked if I had a personal relationship with Jesus. I paused, then answered, “I study long hours about God, but don’t know Him personally.” Her next question was powerful. she said, “Would you like to have a personal relationship with Jesus right now?” That was a terrifying thought! I told her that I couldn’t do that. She asked, “Why?” I quickly told her that I didn’t know what spirit she would be bringing in on me. God continues to give His loving and persistent call. May you, the reader, understand: God’s call is irrevocable (Romans 11:29). It was our call and it was our time. Although we did not know it, we would soon be coming to Jesus (John 5:39-40). 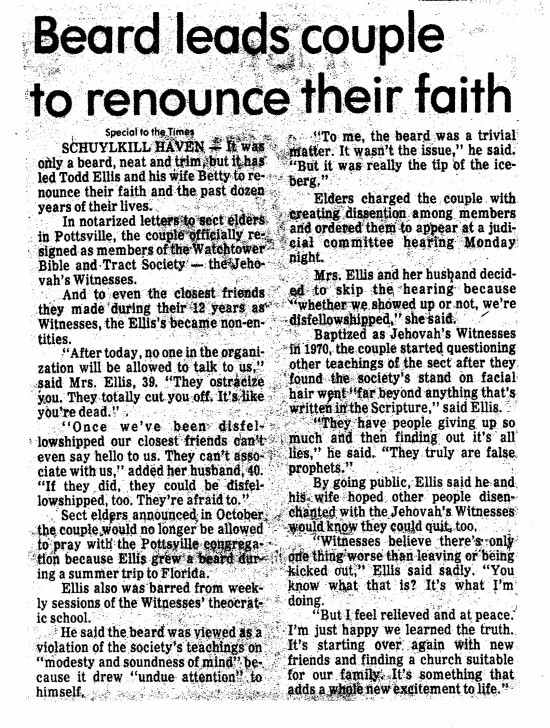 Jesus called to us over and over in 1981. Sometimes the stones cried out and sometimes His witnesses spoke. God, the Holy Spirit, the Teacher, was guiding us to “The Way, The Truth and The Life,” to the Lord Jesus. In the summer of 1981, our family traveled to our last Jehovah’s Witness assembly in St. Petersburg, Florida. Betty’s mother lived nearby so we combined attending the assembly with a family visit. I was always a pretty conservative person, both in dress and lifestyle, but during that visit I decided to grow a businessman’s beard. My mother-in-law hated it. When we returned home the reaction from the local Kingdom hall and from the Watchtower headquarters was even more extreme. It would cause me to turn the corner. A fellow elder informed me that if I continued to wear the beard, I would give up certain privileges. I would no longer be allowed to participate in the theocratic school or lead prayer, etc. After hearing Pete’s tapes, reading the book, We Left Jehovah’s Witnesses, a Non-Prophet Organization, then seeing the Watchtower’s ridiculous decision on wearing beards, plus hearing testimony and witness from born again Christians, I knew our family had a problem. We were confused and were facing some difficult choices. Nestled inside that book was a Christian tract with a phone number for Bill and Joan Cetnar. We had heard of them and their opposition to the Watchtower organization. Betty asked me to call them. Well, that was a scary thought so I kept procrastinating. She communicated that Bill was returning home on the weekend from one of his speaking engagements at a church. We anxiously traveled to their home that Saturday in December. Upon our arrival, we couldn’t help noticing a cross was on the door and their Christmas tree was in the living room (both of which are disturbing and somewhat frightening to members of the Watchtower organization). However, Betty and I witnessed the Spirit of God residing there. We had many doctrinal questions and came home satisfied, relieved, and filled with the joy of the Lord. That day was a very special day–I came to know that Jesus was my Savior and my God. It was the beginning of a new life in our Lord Jesus Christ. One of the most joyful days of my life was the night before Christmas 1981. Betty and I and our family drove down to Pottstown to visit my mother. We had called ahead to tell her that we had a surprise for her. This faithful follower of Jesus had prayed fervently for us since we had entered through the Watchtower curtain some twelve years before this special day. …that we all experienced when we brought my mother that all important message that we had left the Watchtower and surrendered our life to our Lord, our God and our Savior, Jesus Christ. We attended a 6 o’clock Christmas Eve service. and had been adopted into the family of God. It was surely a time of celebration for our family, for our Christian friends and for all who had a share in witnessing to us about Jesus and his saving gospel. To God be the glory!! Betty and I have had so many blessings walking with Jesus and so much joy sharing the grace and mercy we have received. Jesus called us, He sealed us and He saved us from our sins. He has given us His peace, the free gift of eternal life and the assurance of knowing that there is no condemnation for those who are in Christ Jesus. He has made us the temple of the living God and promised us that no one can separate us from His love. What a miracle working God we have! We have been set free! Yes, like the Irishman, we have been taken out of the “prison yard” and set free in Christ and we continue to proclaim that we are “free indeed” (John 8:32 and 36). What a joyful noise I make to the Lord knowing that in December of 1981 we began a new life in Christ. We are now witnesses of Jesus (Acts 1:8). His name is above every name and we bow down and worship Him (Philippians 2:9, 10). Just like Thomas in John 20:28, we finally get it: Jesus is “our Lord and our God.” Yes, we have come to Jesus. He called and we came, we believe and we are saved (Acts 16: 30,31). We are sealed, assured, adopted and guaranteed to belong to the family of God. As it says in I John 5:11-13, we now “know that we have eternal life.” There is no maybe. God gave us the abundant and eternal life as a free gift because He loves us so much. 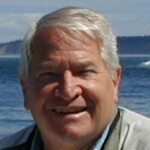 Bill and Joan Cetnar were used mightily in leading us to know Jesus. They loved us with the love of Christ. God has used them in helping so many captives to freedom. Joan, while playing the piano and singing to the Lord on our second visit to their home (Christmas Day, 1981), told us a profound truth. She communicated to us that we were moving from a “religion” to an “intimate relationship” with our Lord. Yes, Betty and I have been set free and our names have been written in the Lamb’s Book of Life. It was God’s grace and mercy that saved us. Jesus said that we did not choose Him, but He chose us. Now we can praise and glorify Him forever! In conclusion, let me say that if anyone reading this testimony is in a “prison yard” or has a hole in his soul, just come to Jesus. Humbly repent and ask Jesus to be your Savior and Lord. In Him you will find rest and peace and joy that only He can give. Grace to you! 2008 local newspaper article about Todd and Betty can be found at the bottom of Betty’s page.